The Swedish Blacksmithing book will appeal to anyone who wants to learn blacksmithing or just read about this craft that had - and still has - huge significance for the development of society. It’s difficult to describe the attraction many people feel to iron and blacksmithing. Perhaps it is part of the longing for simple, basic living conditions that is typical of our time. Throughout time, the trade of blacksmithing has been surrounded by an almost magical aura; the smith has long produced the tools and weapons that meant livelihood, life and maybe, death. 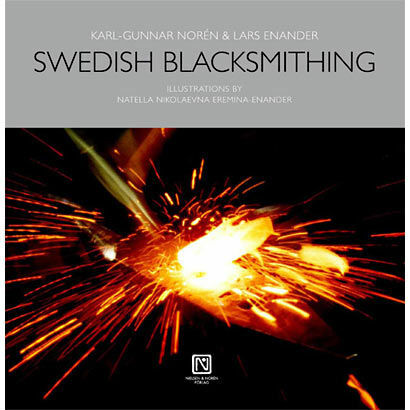 In the last decade, Swedish Blacksmithing has found its place as the standard handbook for blacksmithing in all of Scandinavia and even in Germany, and has now been translated into English. In this book you will find descriptions, with complete technical instructions, of many whole processes; from how to build up a simple forge to the necessary tools and the basics of blacksmithing. 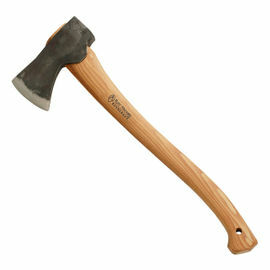 In unique chapters, the art of forging an axe is taught and the secrets of damask are explained. Typical Swedish items for everyday use and knife-making are also covered. All of this is done using dialogue between a contemporary blacksmith and his eager apprentice. Over four hundred drawings and photographs complete the experience and illustrate the contexts where words can fall short. Swedish Blacksmithing is rated 5/5 based on 6 customer reviews. What a book! As a beginner blacksmith I have found this book to be an absolute gem. It is written in a quirky but engaging style and is well illustrated. I would recommend this book for anyone with any kind of interest in the craft of blacksmithing. A very worthwhile purchase and an excellent point of reference. 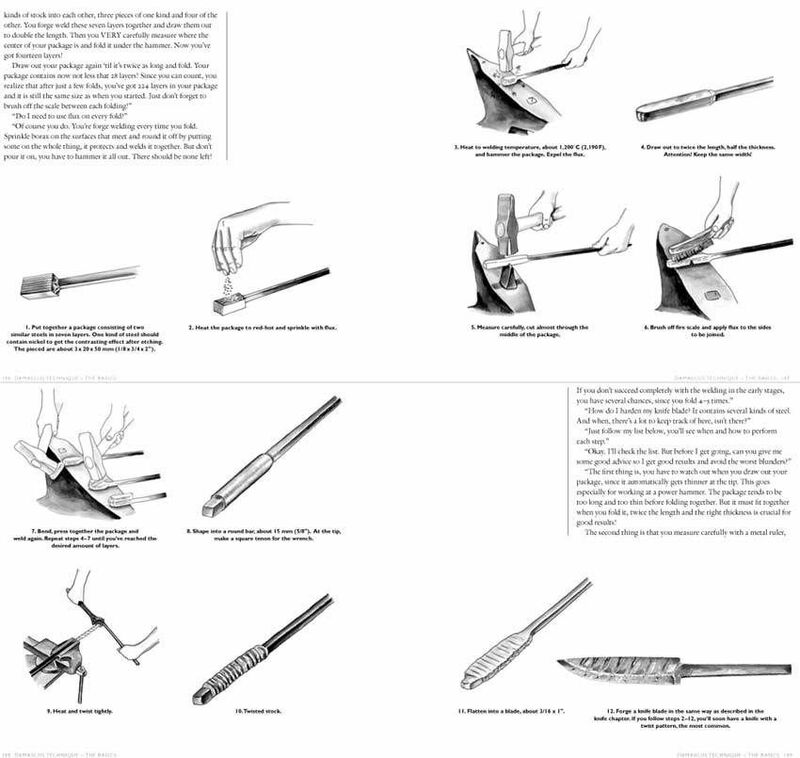 Everything I ever wanted to know about Swedish blacksmithing. The book is well written with loads of information and detailed explanation, its not overly wordy but what is written is to the point. 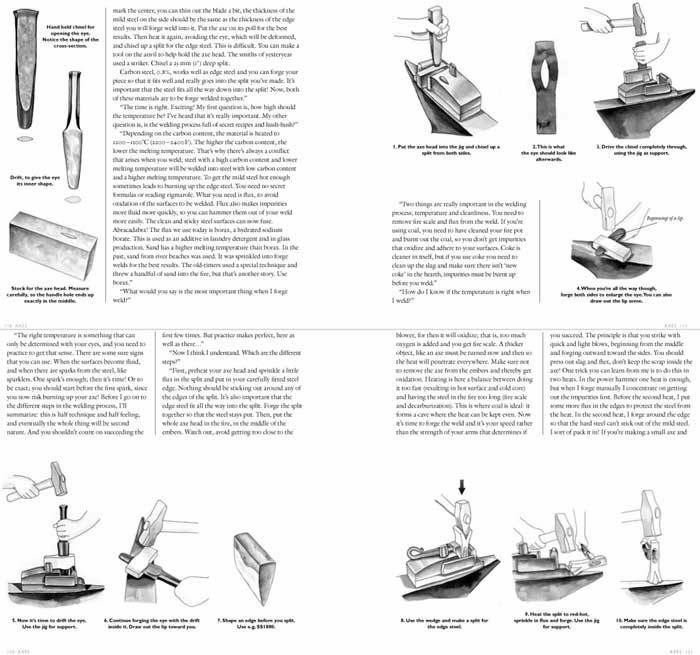 Covers topics such as forge set up, making forge tools, axe making, there is also a diagram of a jig used for making axes, it goes into knife making, hardening, tempering and Damascus. All in all a good introduction to Blacksmithing. Really fantastic book, I admit that I haven't read all of it yet, but I wanted to recommend wholeheartedly on the strength of what I have read. It is a how-to to set up a forge and a look at all the tools necessary. Some great wisdom and tips are enclosed in these pages. Thoroughly enjoying my reading experience; if you're at all interested in blacksmithing and deliberating please don't, have this book in your collection. Written in an interesting way as a dialogue between an apprentice and his master. The translation is at times a bit quirky but this simply adds to the book and makes it very engaging. I just need my own forge now!